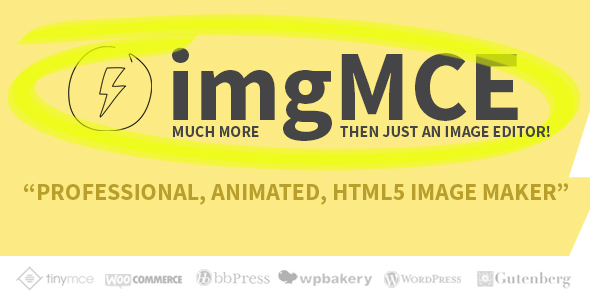 We are happy to introduce ImgMCE! Design directly from the text editor! The tool every text editor was missing. Just like the buttons for making text bold or cursive, You now have a button to make your content shine! Create good looking animated html forms and collect user data on a much friendlier way. See live example. Control which user roles have access to the imgMCE features anywhere on your website. This plugin uses localization files for translating the plugin to any language. 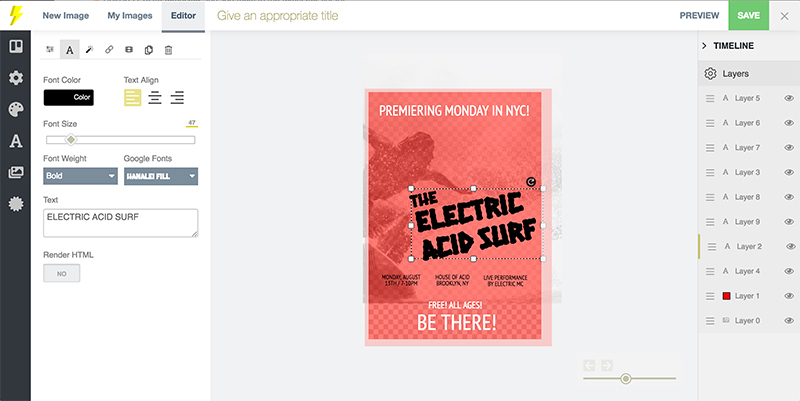 - Improved loading image template when DOING_AJAX. - Fixed IE and Edge issue with showing images. - Fixed missing dependencies warning. - Fixed issue with duplicating layers not showing up in timeline. - Added option to export projects as Image. - Improved animation popup window. * Added in-view support when images are loaded inside the iframe. * Added Elementor page builder support. * Added Froala text editor support. * Fixed issue with rotate style.